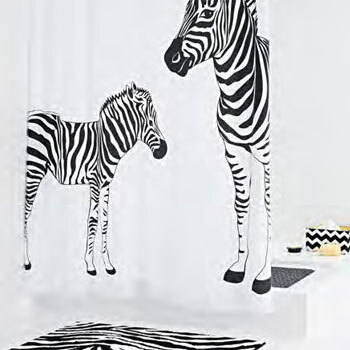 This beautiful and playful shower curtain is ideal for a modern stylish bathroom. Environmentally friendly fabric and non chlorine based product. Black zebra images on a white textile background.